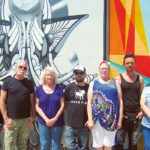 Bluxom Salon owner Marchelle McKiernan couldn’t be more proud of the colorful mural that has been painted on the back wall facing the alleyway, which is accessed off Utah Street in North Park. 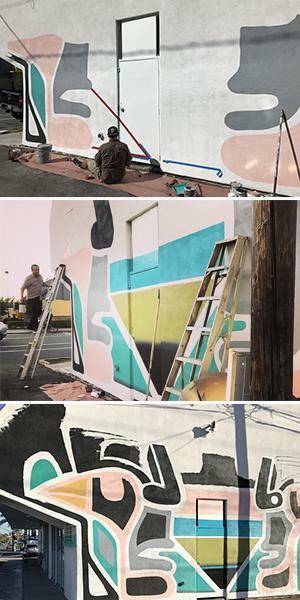 The work of art — behind the salon located at 2855 El Cajon Blvd. 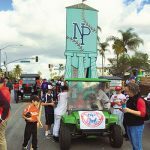 — is the latest installment in El Cajon Boulevard Business Improvement Association’s Take Back The Alley (TBTA) program. 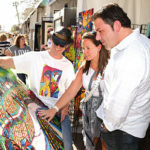 Since its inception in 2012, the program has helped repurpose blighted, poorly lit alleyways into vibrant community spaces. The latest TBTA installation, Forman said, has been incredible. 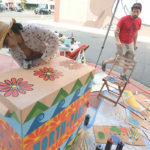 McKiernan said she wound up connecting with the mural’s artist, Rodrigo Villa, thanks to a recommendation from the association. Coming up with the vision for the wall, Villa said, did not take long after he saw pictures of the space. Both he and McKiernan are hopeful the mural will tap into the hearts and minds of those who see it. 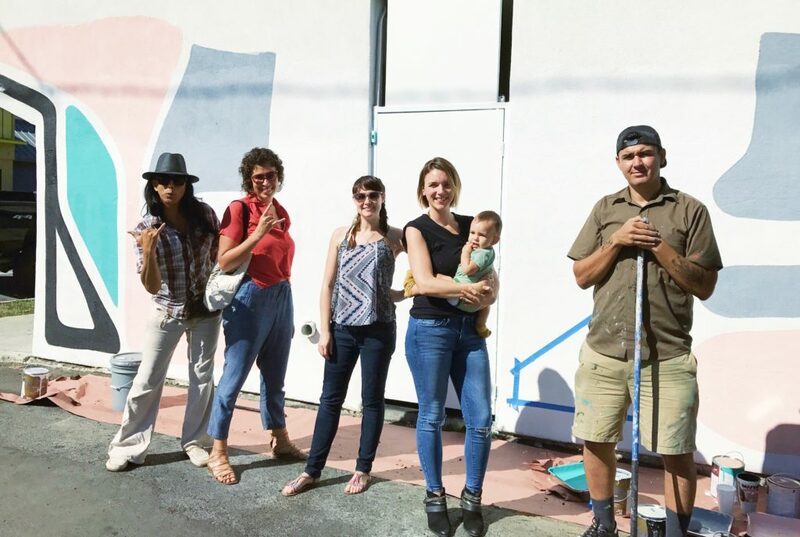 “I am hopeful my art will be well-received by the community as the intention [for] Bluxom’s wall is to improve and liven the space while beautifying the street. As a frontier artist, I am convinced that it is important to keep these manifestations alive and active while inviting the viewer to think,” Villa said. “For me, my goal here is to tap into as many senses as possible with the mural. We will be bringing in speakers, new lighting, tables and planters. 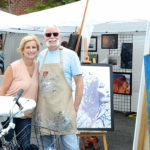 We are making it into a really nice space and we hope to see it utilized,” McKiernan said.